1.The key switch should be placed inward when wearing on the left hand, The key switch should be place outward when wearing on the right hand. * Attention: If you are wearing the the wrong direction, may cause the data of LCD display inaccurately. 2. 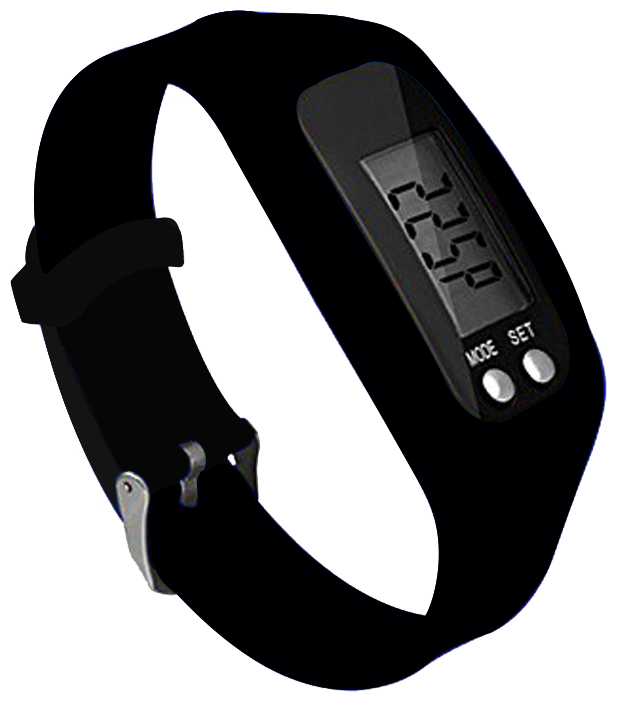 Press the MODE key once by once, it will display TIME/STEPS/DISTANCE/CALORIES in sequence. 3. Set Time: Press and holding SET key for 2 seconds, you can set the H/M separately,press and holding MODE key to confirm, press SET key in the end. 4.STEPS:Press SET key to reset the steps data zero, start to count steps. choose the step length (default:23.6 inches) press MODE key to confirm, press SET key in the end, start to count distance. 6 CALORIES: Press and hold SET key for 5 seconds, press MODE key and input body weight(kg), press SET key to confirm, start to count calories. 2. To keep product function normally, the product should be away from fire and water.